Develop your imaging skills with Radiology for the Dental Professional, 10th Edition. With a wealth of features that underscore practical application, you will not only learn the proper step-by-step techniques for safe and effective dental imaging, but you’ll also learn how to evaluate and, if applicable, interpret the images. This full-color 10th Edition boasts new content on digital imaging, expanded information on radiation safety and infection control, plus updated new photos of the latest techniques and technology. New chapter summaries and review questions further reinforce your understanding and application skills, and feature boxes help you troubleshoot and prevent common errors. 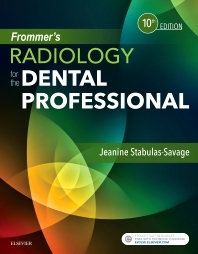 Overall, it’s the ideal radiology introduction for anyone pursuing a successful career in the dental professions!